Welcome to our NEXTblog topic and the next big thing for playwriting in middle schools! Young Playwrights for Change! 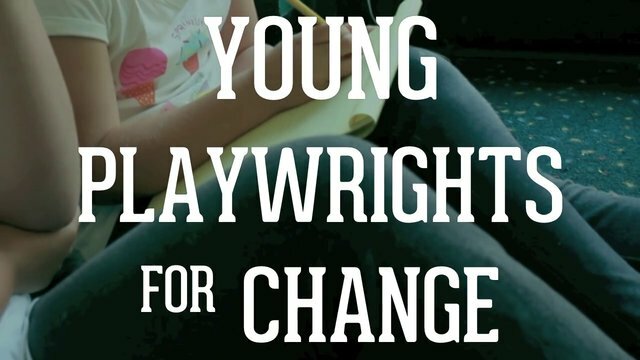 Not sure what Young Playwrights for Change is or if you are ready to host your own regional playwriting competition? Read more below. As we bring the first year of Young Playwrights for Change to a close, I am reminded of something. Of the things I hope my students understand, the fact that they each have something important to say and that they are the only ones who can say it in their unique way, is one of the most important. Young Playwrights for Change offers students a new way to explore and express how they feel about important issues. It gives them a voice and lets them speak to their peers and the adults in their lives in a new way. In our very first Young Playwrights for Change project, we gave middle school students the opportunity to submit short plays that tackled the subject of bullying. What we got in return were many fun, creative, and inspiring plays. – What would it be like to host a regional Young Playwrights for Change competition? – What are some of the big student successes experienced during this project? – What are some of the benefits for your community/your organization? – What are some of the challenges you faced in regards to hosting the competition? – And finally, do they have any words of wisdom for those about to host their own regional competition? We hope to inspire and entice more of you to participate in Young Playwrights for Change. We also hope that those of you who hosted this last year can learn from the experiences of others. We hope you enjoy the opportunity to process any frustrations and share your own successes stories. Finally, we hope to garner information that will make hosting and the overall project an even bigger success in this upcoming year. Our first year has seen some incredible successes and discoveries. We can’t wait to see what we can achieve together in the next year! If you happen to be lucky enough to attending AATE in Denver this week, come hear even more about this project at our session on Friday, August 1st, at 10:00. Add your voice by commenting on this blog or submitting one of your own. Any bloggers interested in submitting on this topic, please email jackiek@rosetheater.org. For more history on the Young Playwrights for Change project and how it was sparked by the Dramatic Change initiative check out the Young Playwrights for Change category.